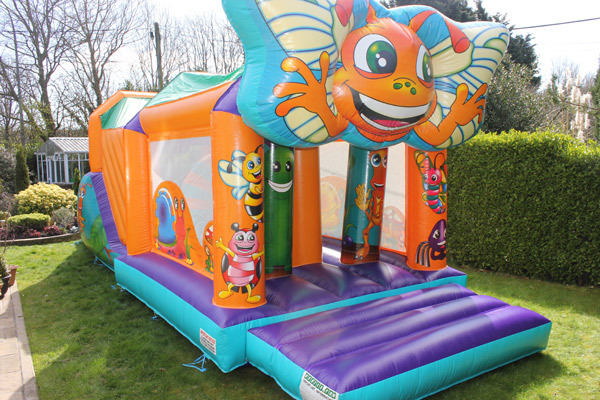 A Bouncy Castle business can be a very profitable business but there are some guidelines you must follow. I would like to say that the person running this business needs to be physically fit. Some of the castles can weigh in excess of 150kg(these are the ones that adults can use) so I would definitely suggest that you need a sack barrow to move the castles around. Another thing to be considered is you will need a van to transport them. How many castles do you need for your business, The suggested number of castles to start with is 3 children’s castles. I would suggest that you buy your castles from a recommended UK manufacturer who has the best commercial grade product and you receive an 18 month warranty. The most popular size is 14 foot long x 12 foot wide and the maximum age of the child using them is around 12. The price of these castles to by is A�799. The average price for a days hire is A�50. When you buy your castles from a good manufacturer, they will show you how to set up and how to collect your castle after the event. Remember you are responsible for the product you are renting. Here are a few tips and guidelines to running a successful business. Always maintain a diary for your bookings and this will avoid double booking. Be polite and courteous at all times. Always ensure that you arrive at the booked venue in plenty of time to set up. Some parents get very stressed when running children’s parties. Always make sure when you are going to a venue take some business cards and leave them there. Word of mouth is the best form of advertising in this business. This business is in high demand for about 6 months of the year but you will get bookings through the year. During the winter, you can get bookings where you will be using a hall as the venue and this works very well. Previous articleRefinancing an Automobile Loan – You Can Save Hundreds of Dollars!